Nearly every blog post I’ve read since the beginning of the year is about making New Year’s Resolutions or finding your “Word for the Year.” While these things are good in and of themselves and I have done one or both over the past years, this year I’m going to take a pass. As our Lord says, I shouldn’t worry about the future. There’s enough to do just to get through today. Part of the reason I’m passing on resolutions is that the last two years have been one major crisis after another and it’s all I’ve been able to do to keep my head above water and take care of my family. I am so grateful to God for His care over my family, despite the trials, and that somehow, I’ve made all of my book deadlines. When I look back on the last two years, I wonder how that happened, but the blessings of new releases have been high points in my life. Another reason I’m not making resolutions this year is because typically, my resolutions aren’t the least bit unique—get healthy, lose weight, exercise more, etc. Not that I don’t need to pay attention to my health, but I hopped on that bandwagon months ago. I’ve been exercising regularly and eating healthy most of the time for a few months now and am starting to see results, so there’s really no reason for me to make a new resolution for what I’m already doing. Besides, it was a permanent lifestyle change and not something I intend to be able to check off my to-do list at the end of the year. Another way our lifestyle has definitely changed is after my hubby’s double stroke and his consequent disability retirement. Becoming the main breadwinner has been an ongoing challenge for me as a full-time writer. This is not to say that I don’t have any goals for the year, especially regarding my writing (hoping to release several books this year!) but those go into my business and marketing plans. Oh, and by the way, today is National Popcorn Day, so be sure to grab a bucket and curl up with a good book! WISHING YOU A HAPPY AND BLESSED NEW YEAR!!! Hi Deb, I hope and pray this year is smoother for you and your family. I love the verse in Isaiah 43:2, the promise that WHEN, not IF, we walk through the waters, fire etc. God WILL be with us- my prayer that you experience this. 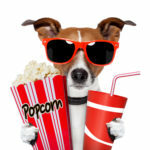 National Popcorn Day- that is hilarious!! We should adopt that day here in Australia!! Thank you for your well-wishes. I love that verse in Isaiah! Hi Ellie! CALM is a lovely word I fully intend to embrace. Hi Deb and blessings for 2018. I am with you about New Year’s resolutions – I would rather read than clean house. Since I retired as a high school English, Creative Writing, Journalism and German teacher in 2012, I have enjoyed reading new authors and genre. I enjoy being on review teams and writing reviews. Rather hilarious that today is National Popcorn Day. Yesterday I read a book by Shanna Hatfield with a recipe for a popcorn cake. That reminded me of returning from maternity leave in March 1981 and my students made me a cake. They couldn’t wait for me to cut into the nicely frosted cake. The all chuckled because it was a popcorn cake and didn’t cut easily. Happy Writing. I’ve never heard of popcorn cake. I’ll have to look it up. And I’m just getting up and going with my review team. If you’re interested, just sign up for my newsletter above. I’ll be blasting out a call for my dream team in the next week or two. Praying that this year will be a quieter, productive year for you! ~Hugs~ I always want to read more books! Our son used to be excited to finish a book, because of all the possibilities of the next book to read. I think of him with each book I finish. Happy Popcorn Day! What a beautiful memory of your son. I’ve been an avid reader since–well, probably the womb–and had the tendency as a child to crawl off into quiet corners to read during family events. Thanks, Lori. I hope you have plenty of opportunities to work on those resolutions! Happy Popcorn Day! 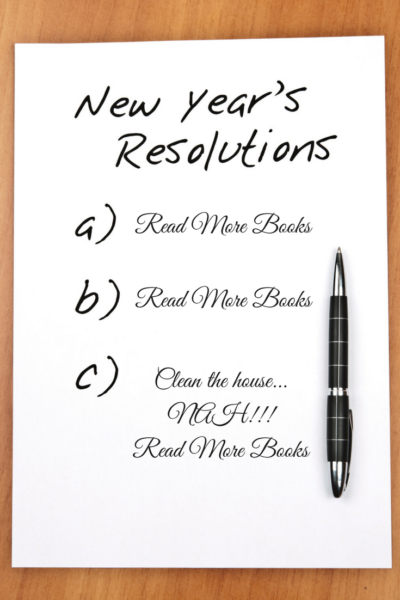 As an avid reader, I love your list of resolutions! Praying for a great 2018 for you, Deb! Thanks, Jackie. I think of popcorn more as a movie-watching thing, but I don’t see why I can’t curl up and read a good book with it. Yes! Read more books. I’m off to a good start: 8 so far this month and am ahead of schedule on my tracker with goodreads! I don’t like resolutions because I hardly ever follow through! Blessings! Wow, I’m impressed, Paula. You really are off to a great start! 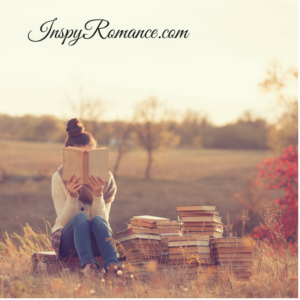 Hey Deb–I love your resolution to READ MORE BOOKS! We can call it “work,” since we’re learning more about writing, but in fact, nothing is more relaxing and uplifting than an evening on the couch with a good book. May you have many of those, and fewer worries this year. Sending hugs. Don’t you love that we can call reading work, Lee? Love the read more books. I wish! I love the Read More Books resolutions. Hopefully we can all find time for more reading this year.